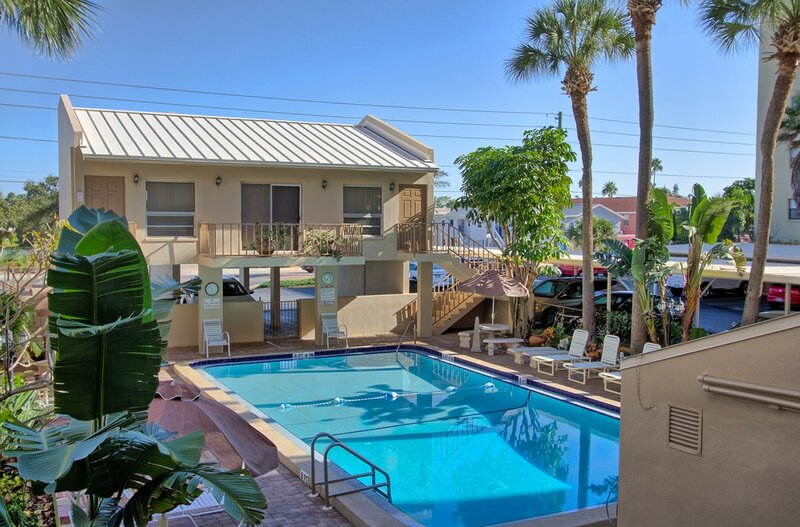 $995/ 7 nights directly on the sand, facing the Gulf! Stay the month of May!! !- Rent 3 weeks & receive 4th week FREE! 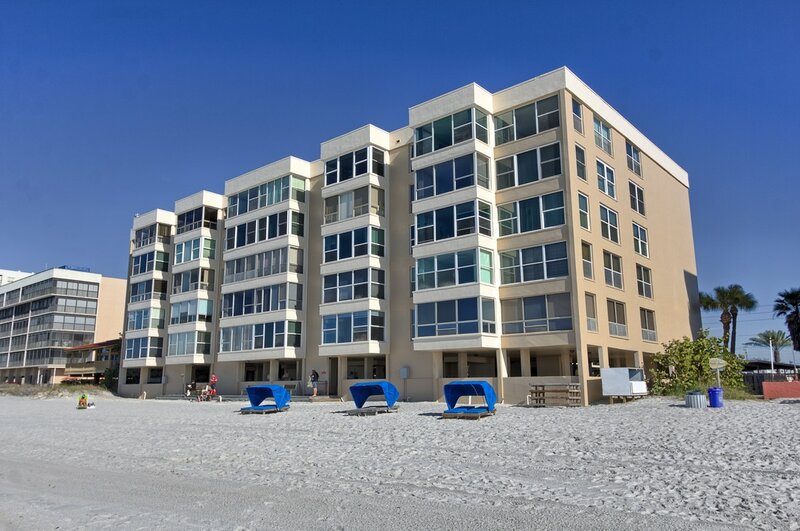 Madeira Vista is closer to the water than any other building on the beach! ​All of our condos are 2 bedroom/ 2 bath with full kitchen, washer/dryer and free secure WiFi in each unit. We are directly on the beach & EVERY condo has direct water views from the living room. 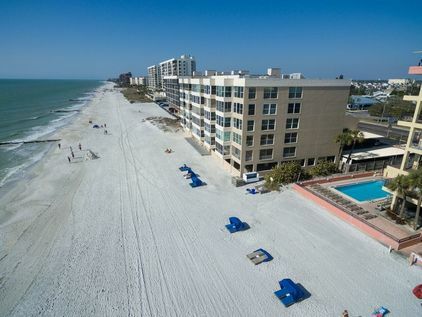 When you walk out to the beach from our building, you are steps away from the Gulf! The views are spectacular and the sunsets are amazing! Email us for availability- click here! 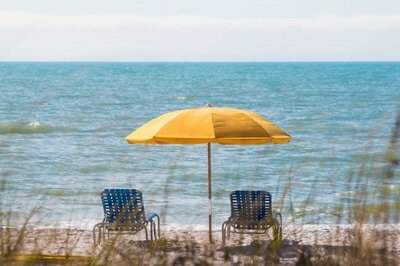 ​ We are #1 on Madeira Beach! Please do not be envious of our beautiful daily views. YES, this is the view ​from our condos. Come visit with us and we will gladly share. We love it here too! Assigned covered parking spot for each unit! 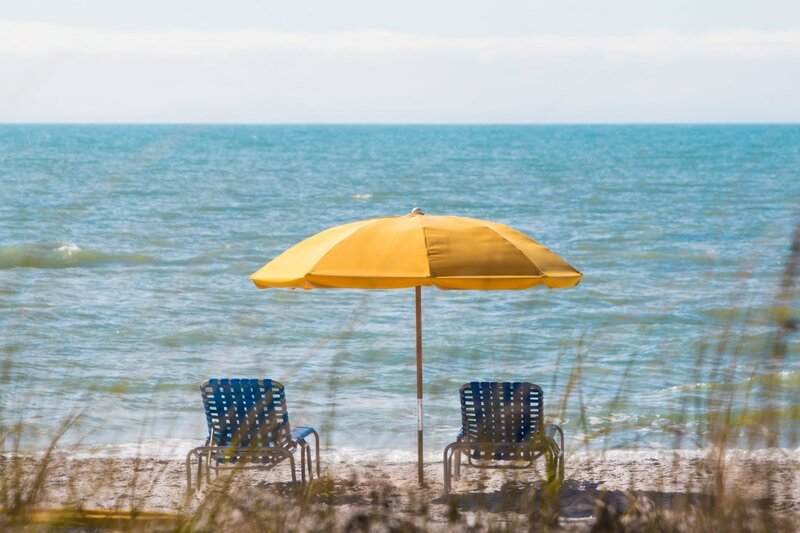 Madeira Vista is a residential condominium located directly on the white sand beaches of Madeira Beach, Florida, where the dolphins swim by daily. We are a weekly rental building and our condos during prime season dates rent on a SATURDAY to SATURDAY booking schedule. 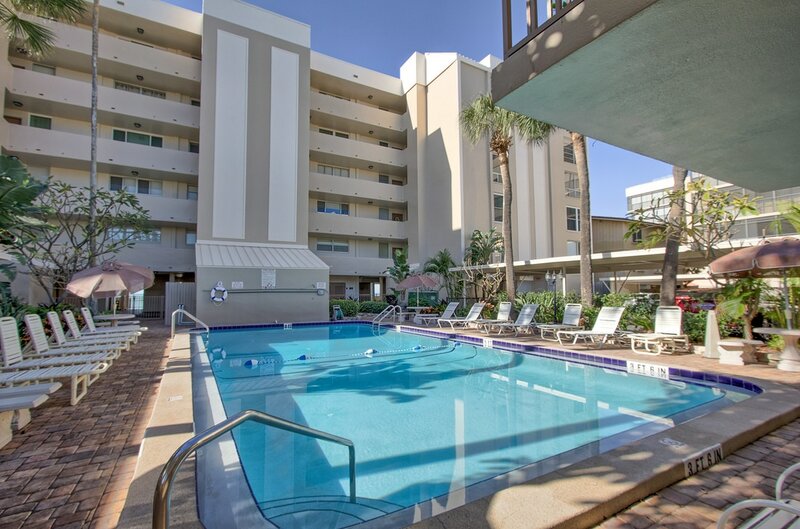 All of our condos are 2 bedroom/2 bath directly facing the Gulf, with kitchen, washer/dryer and free WiFi. Each unit has an assigned, covered parking spot. The views are amazing and the sunsets are spectacular! 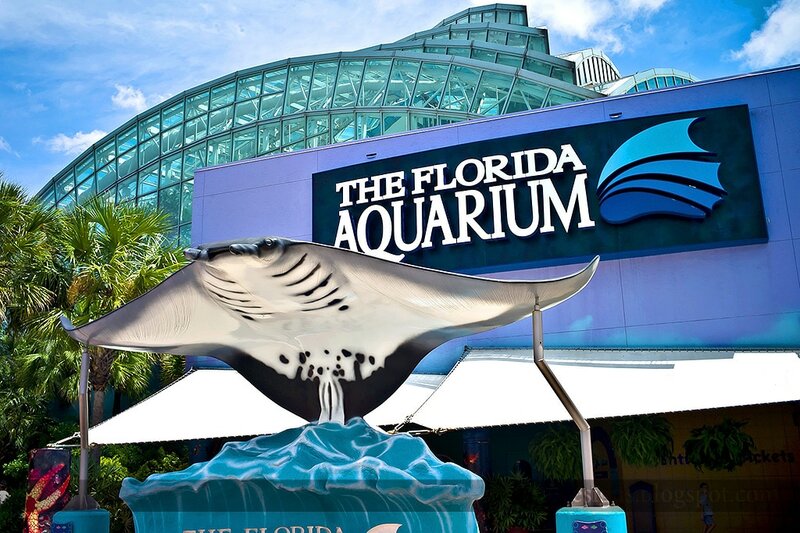 Located just a little over 1 mile north of famous John's Pass Village, we are within easy driving distance of most of Florida's famous visitor attractions, as well as many lesser-known gems. Most of our owners make their condos available to rent when they are not using them. We are the #1-ranked beach condo on Tripadvisor.com! Look! 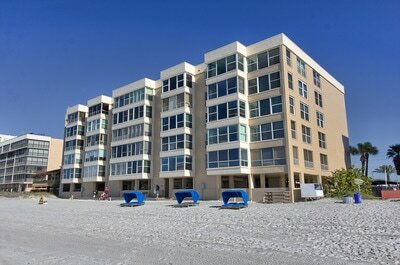 We are closer to the water than any other condo with unobstructed views up and down the beach! 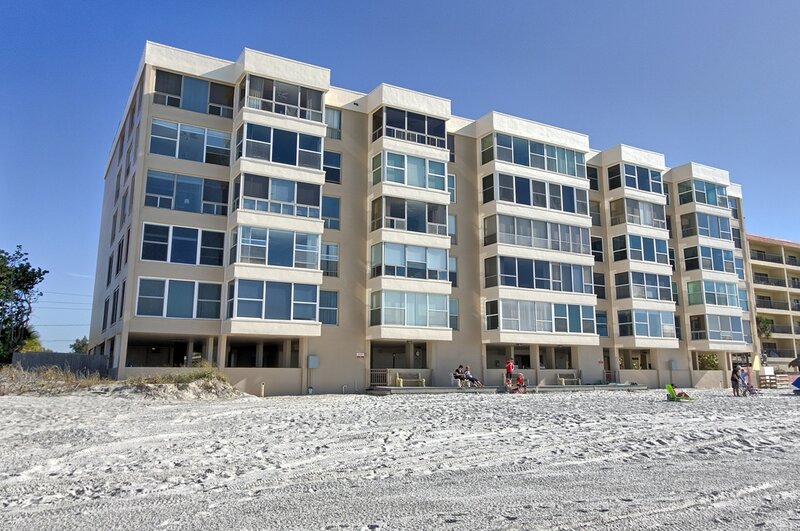 Closer to the water than any other building on the beach! If you are thinking of a beach vacation, Madeira Vista can be your home-away-from-home! 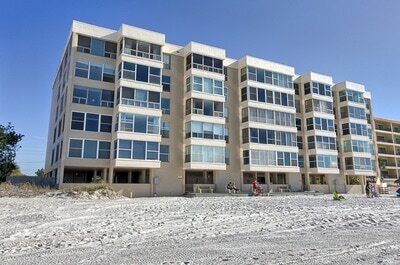 Our condos sit closer to the water than any other building on the beach. This gives you unobstructed views of the Gulf of Mexico and views from your condo north and south, up and down the beach! Each unit is individually owned. The owners spend part of the year here while making their condo available to you when they are not in town. This means that each unit reflects that owner's personal taste for their vacation home. All of our rooms are 2-bedroom, 2-bath units that are located directly on the beach. EVERY living room faces the Gulf with unobstructed views of the water! Each and every unit is fully furnished, stocked, and has all the amenities that you could ask for: cable TV, washer & dryer, linens, towels, dishes, silverware, glassware, coffeepot, dishwasher, microwave, pots and pans, etc. 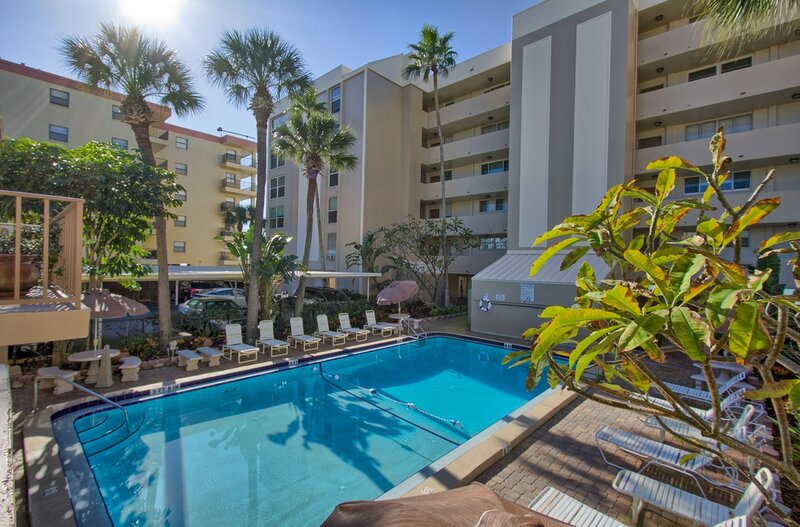 Conveniently located near restaurants, shopping and water activities! 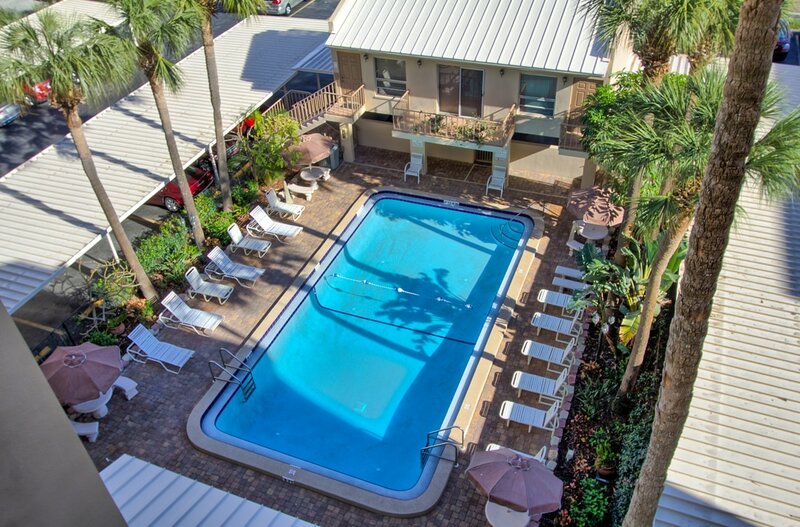 Our heated pool with a relaxing, tropical setting is just a few steps off of the beach! Cool in the summer and heated in the winter! On-site Building Manager lives in apartment above pool! Afternoon provides a little shade when you've had enough sun! Open air deck for enjoying sunsets! 4 grills for guests to use with million dollar view! Plenty of seating out of the sun to enjoy the Gulf breeze! ​Each condo has an assigned, covered parking spot! Below is more information on the surrounding area of Madeira Vista Vacation Rentals. and, of course, THE BEACH! ***Or just relax. Hang out on the deck, swim or lounge by the pool, enjoy the beautiful beach, or unwind in your room while enjoying the view as the dolphins swim by and the day ends with the most gorgeous sunset!